The Florida State freshwater fish is Largemouth Bass. One of America’s most-prized gamefish, the Florida largemouth bass (Micropterus salmoides floridanus) seems to grow to unusually large size in Florida waters. It can reach a length of more than twenty inches and weigh more than fifteen pounds. This black bass is an elongated sunfish, whose distinguishing feature, aside from its exceptionally large mouth, is a deep notch in the dorsal fin. 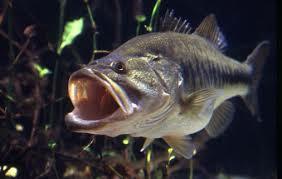 Largemouth bass usually live in quiet waters that contain bountiful vegetation. The 1975 legislature designated the Florida largemouth bass as the official state freshwater fish.